This is the final in a three-part series of articles on suffering and questioning God, written by a parent coming to terms with his daughter’s chronic diagnosis. If you haven’t yet, check out part one and part two. God says nothing back… but I told you so. I told you so. Even though I’ve been around God for a long time, sometimes it still feels like I can’t hear him. I press a button to restart the song. It’s best to hear this one from the beginning. Late last year, without warning, my two-year-old daughter fell gravely ill—throwing up, rag-doll on the couch. After a grueling weekend, we finally got into the pediatrician, who immediately sent us to the university hospital. That night, she was diagnosed with Type 1 Diabetes. In an instant, everything about our world changed—perhaps most significantly, my faith. I’ve grown up with God. From my earliest days, his existence—and more importantly, his goodness—were never in question. Unlike many of my peers, my relationship with the divine only grew as I did. To the point that major life decisions like college, marriage, and career were all made through the lens of faith. Naturally, when my wife and I struggled to conceive, we turned to God. And, miraculously, he answered. With twins, no less. They were our miracle babies. For me, it may have been the most God-centric moment of my life. And His blessings continued, with a little brother than followed some 18 months later. But something changed the evening we walked out of the children’s hospital, four days into a lifetime of blood glucose checks and insulin shots. For the first time in my life, I felt the silence of God. I can’t say when it began. Perhaps it was that night—Thanksgiving, of all days—that we were released from the hospital, forced to face this disease on our own. Or maybe he went mute the Monday before, as my daughter was rushed into pediatric intensive care, screaming for water that she wasn’t allowed to drink. Or maybe, worst of all, He fell silent much earlier, and the hustle and bustle of life with three kids distracted me enough that I just didn’t notice. Perhaps it defies logic, but when God is silent, I don’t feel abandoned. Sure, I have moments of despair, but I don’t feel alone or forgotten. I know He is still there. Still working. Still active. Watching over, even blessing, my daughter and my family. But for all the screaming and crying I’ve done to him since the diagnosis, the pain and the begging for answers—I’ve gotten nothing in response. On this subject, the one closest to my heart, God remains as silent as the grave. And I think I’m coming to a realization—that silence, itself, may just be the answer I’ve been asking for. The first part of the Bible, the section commonly called the Old Testament, covers something like 2,000 years of history. That timeline effectively begins with a man named Abraham, who, as the story goes, God chose to make into a nation. As the generations passed, the family of Abraham grew into the nation of Israel. And that nation had a special relationship with God—he spoke to them through prophets and was intimately involved in the details of their lives, rescuing them from oppression and working miracles on their behalf. And he promised to do even more, to send a Messiah that would set all things right. Like any nation, Israel experienced highs and lows, but the great constant—whether they wanted it or not—was the presence of God. And then, unexpectedly, and without warning, God went silent… to the entire nation… for four hundred years. Remember the law of my servant Moses, the statutes and rules that I commanded him…for all Israel. I wonder how many times, in the generations of silence, the people of God looked back to this final prophecy? And when they did, they must have scratched their heads at God’s final command to them: remember. Moses, one of the most important figures in the history of Israel, lived some 1,000 years before these final words of Malachi. 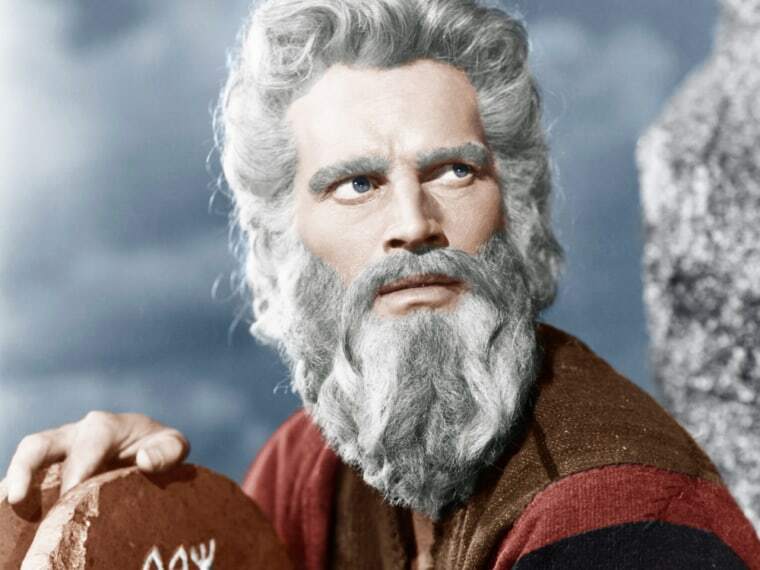 Besides an unparalleled resemblance to Charlton Heston, Moses was known for two things: rescuing Israel from slavery in Egypt and being the prophet who presented the nation with God’s Law, his divine guidelines for life. Knowing the nation is about to enter an extended period of quiet that will cause more than a few of them to question their faith, God gives his people a command to remember what he had already told them. Remember Moses, the man God spoke through. Remember the guidelines for living that he delivered to you. And remember to put them into practice. Apparently, for the next four hundred years, God thought that was enough. In this unlikely command from God, I find an unexpected hope. Perhaps silence doesn’t mean we are abandoned. Perhaps silence doesn’t mean we are forgotten. Perhaps silence only means we don’t need any more information. Perhaps silence is a call to remember—to look back into our history and to keep putting into practice the things God has spoken in the past. Perhaps we are longing for something new, but God’s silence is saying that we have yet to master the old. Perhaps silence is a call to persevere; to press on; to hope. If any modern believer was close to the heart of God, it must have been Mother Teresa of Calcutta, who spent her life caring for the destitute and dying of India. And yet, after her death, a published book of her letters revealed a prolonged silence—forty years or more—that plagued the saint. In a letter to a spiritual confidant, written twenty years after forming The Missionaries of Charity, Teresa confessed, “Jesus has a very special love for you. As for me, the silence and emptiness is so great that I look and do not see, listen and do not hear.” And yet in the silence, she persisted. In the silence, she pressed forward into the last thing God called her to do. Her long, slow obedience in one direction, it changed the world. And her example continues to inspire us, twenty years after her death. As I’ve processed my own grief in regards to my daughter’s diagnosis, I re-read a book that had long been sitting on my shelf. And through the lens of my own year of silence, it took on a meaning grander than I ever imagined. Till We Have Faces was the last novel C.S. Lewis ever wrote. The story is a re-imagined telling of the Greek myth of Psyche and Cupid. In Lewis’ account, Psyche is the child of a ruthless and abusive king. Her mother having died in childbirth, she is raised by her adoring, older sister Orual. Despite her royal position, Orual and Psyche’s childhood is one of pain—their greatest joy being each other. A series of events takes Psyche away from Orual to become the wife of the god, Cupid. Orual spends the rest of her life decrying the gods for taking her sister away, the only thing she ever truly loved. The novel, itself, is presented as Orual’s great argument against the gods, a story to prove their malevolence. Throughout the tale, she begs the gods to give her an answer for her pain—the only response she receives is silence. I ended my first book with the words ‘no answer.’ I know now, Lord, why you utter no answer. You are yourself the answer. Before your face questions die away. What other answer would suffice? Every night, before collapsing onto my pillow, I get on my knees. It’s a posture I do intentionally. For the most part, we live in a post-monarchy world. But the deepest desire of my heart is for a king. And I believe I have one. And I submit myself—and every member of my family—to his authority, his plan, and his design. Even when I don’t understand. Even when I don’t agree. I am a humble servant, and my king owes me nothing, let alone words. And yet, while he doesn’t speak, his presence is a response—that my questions are welcome in his throne room, that my doubts don’t draw a line between us. I kneel before him and wait for a response. His silence prompts me to raise my head. My king’s eyes meet mine. In them is a love, and deep hurt on my behalf, that words could never, ever relay. God says nothing back. And yet, His silence speaks. What struck you most in Caleb’s article? Where do you feel like God is silent? If you’re new to God, ask him something now. Write down whatever you think you hear—even if you’re not sure. If you have a relationship with God where you’ve heard from him before, what was the last thing you heard him say? What might what you heard mean? Talk to a friend about it. Try acting on it. See where it goes.